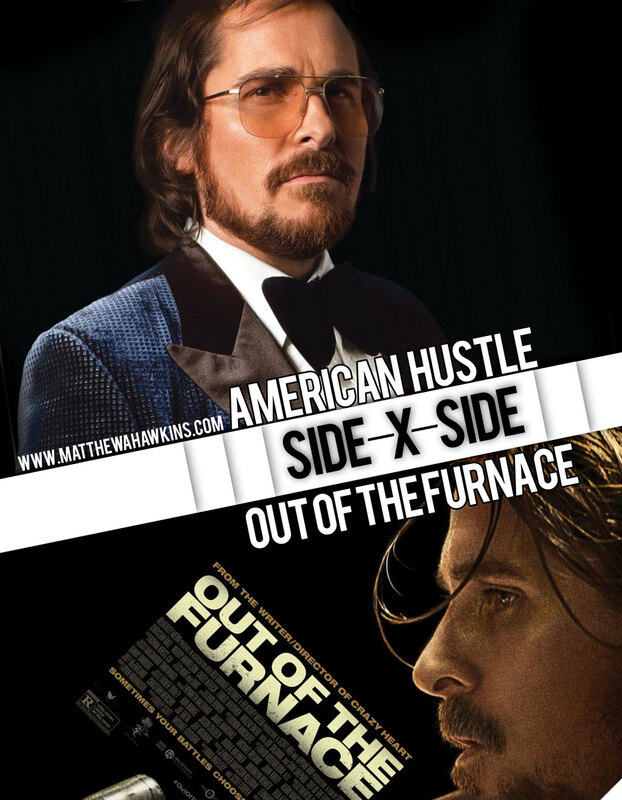 This Side by Side edition I put Christian Bale's two latest films: American Hustle and Out of the Furnace against each. No spoilers, so read away! Of these two films, I was most anticipating Out of the Furnace. The trailer made it look like a real award winning contender, I should have just stopped at the trailer and let myself continue to think it was a good film and never know the truth. American Hustle, I watched the trailer and thought it looked mildly interesting, over the top (just look at Christian Bale's gut and Jeremy Renner's hair) and that it would make for a fun flick, but nothing more. To really put these films side by side, you have to look at the work of Christian Bale. My own favourite scene of these two films was in American Hustle when Bale and Amy Adams had a moment in a dry cleaning business. Bale wanted to tell Adams a secret and before he could, I whispered to my wife 'I'm Batman.' (It will always be tough to see Bale as anyone else, but he's a phenomenal actor). From a 70's pimping con-artist, to a southern redneck mill worker, Christian Bale is the glue to each of these films. Had the storyline given Bale a chance in Out of the Furnace, his performance would have been monumental, however that's not the case. The conflict between Bale and Harrelson fell very flat and the flow of the film failed to take off. Like I said though, Bale is incredible in the film and will hopefully play a similar character in a film worth watching in the future. Side by Side, one of these films stands out more so than the other, but any possible award winning chances? I'm not so sure. At least check out American Hustle and Jeremy Renner's incredible hair.